Share your ideas on how Saskatoon should grow to half a million people! This forum will end on March 21, 2014 so we can use your input to guide the development of specific options for Growing Forward! Shaping Saskatoon. Please watch www.growingfwd.ca over the next few months, as we will be posting more information about how we move around and grow to half a million people. Common sense would suggest that poorly planing a trip to the hardware store will more than likely mean multiple trips back to that same hardware store. You could end up spending as much on gas as you did on your project. Whether an attempt is being made to spread the wealth or not is not the right approach to road repair. This past summer (2013) work crews started and completed repaving of the most deteriorated stretch of #16 west of Saskatoon. Within the City limits we've seen an all out and random assault on pothole repair. How many trips to the same intersection does it take to complete repairs on potholes? The answer is definitely more than one in Saskatoon. Inefficient and wasteful come to mind? The City has enough workers out and about each day that we shouldn't need a pothole hotline. There are times when I've seen multiple people driving along in one City vehicle. How about getting one of the passengers to file out a pothole report to and from there destination. The resulting information could be plotted on a City map according to severity. Then repairs could be done based on major roadways with the highest speed and the most repairs needed, next could be major roadways with lower speeds needing the most repairs etc. Stop wasting tax payers money by sending out crews to repair 1 of 5 potholes and then 3 weeks later sending another crew to fix another 2 at the same location. Finnish the job in one trip. The money saved on gas alone could go towards better road repair. I have always been a pedestrian and a frequent user of public transit. However, this past year things changed as I required both a hip replacement and back surgery. All of a sudden I was using a walker and obtaining a handicapped parking permit. And I learned, the hard way, that Saskatoon could do a lot more to assist people with mobility handicaps so that they can maintain an active lifestyle and participate fully in community activities. The walk lights are way too short - it's almost impossible to cross the street on a walk light if you're using a walker or a cane. Public transit is no longer a good option as there are very few benches or shelters to make it easier to wait for a bus, and the bus drivers often don't park close enough to the curb to make it easy to exit the bus. A handicapped parking permit does little good if there are no available parking spaces. I stopped going downtown or to Broadway or Riversdale as I couldn't be sure I'd find a parking spot close to where I wanted to go. Nelson, BC, is an awesome place to visit if you have a mobility disability as they reserve one parking spot on each downtown block (as well as in front of government buildings) for people with a handicapped parking permit. This made it possible to find a parking spot close to where I wanted to go. I'm quite happy to pay for parking - I just want to be confident that I'll be able to find parking where I need it. 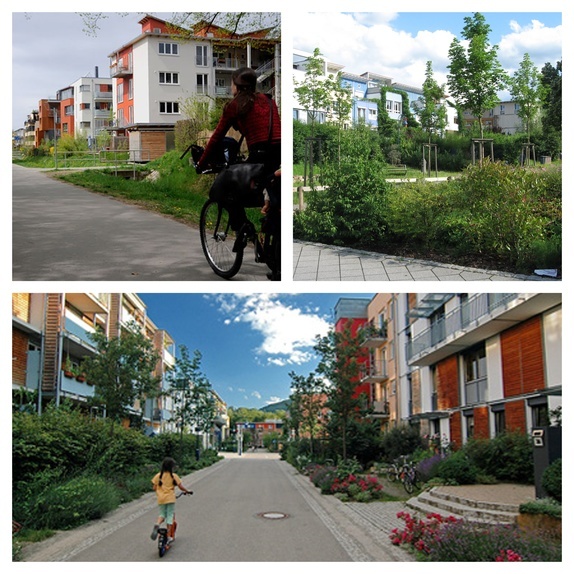 Idea: An integrated approach to a healthy and energy efficient community. I want to see our city grow forward progressively and avoid the issues faced by other western Canadian cities that grew past 500 000 people without much of a forward thinking plan. To me this means serving every citizen. Affordable housing, effective public transit, walkable/bikeable communities and substantial energy efficiency programs are key aspects. Imagine an infill community where density is well implemented. Homes would be of a modest size to keep them affordable - perhaps even in townhouse form so that energy is saved through sharing the partition wall. The community is laid out where common services like groceries and schools are only a short walk away - giving people the opportunity to exercise and reduce their reliance on their car. Road design would put pedestrians and cyclists first. Amongst the homes is plenty of green space and community gardening areas - to help people reduce costs and grow some of their own healthy food. Because of the density, public transit becomes more feasible. Perhaps the community is right on the bus rapid transit line so that individuals may get to another part of the city quickly, cheaply and without the automatic need for a car. Reducing car trips reduces wear on road infrastructure. The buildings themselves would meet high standards of energy efficiency through increased levels of insulation, air tightness and solar exposure. Much work is showing that significant efficiencies can be obtained with little to no increase in building cost. Improvements in the building envelope (as its called) save the occupant substantial monthly utility costs that are projected to only increase over the 100 year life of the building. I'd hope this type of community would be part of an overall more inclusive and kind Saskatoon, where I can live, work, raise a family and contribute positively. The ultimate test for any urban planning policy is in fact, the extent to which it contributes to improving the standard of living for Saskatoon residents, while reducing poverty levels. For economic growth to be sustainable, we must recognize that people are moving here for a higher standard of living. Employment and income opportunities are greater today than ever before. If our housing costs continue to escalate due to public policy decisions, however, much of the economic gain for individuals and families is a wash. As Saskatchewan enjoyed the largest increase in median household income of any province between 2006 and 2011, house prices escalated well beyond incomes. The net effect is that the lower-cost detached house has become a thing of the past. The higher house prices that developed between 2006 and 2012 are estimated to have disqualified approximately 20 per cent of Saskatoon metropolitan area households from purchasing the average price existing house. In the more expensive new house market, it is estimated approximately 15 per cent of households that would have qualified for mortgages in 2006 would not today because of the higher prices. Throw in increased rent costs and increased utility costs, and you have the start of a seriously unaffordable city in which to live.